It was clear that 2010 Ride would be something of a watershed. It marked 25 years of the Paris to Hayling and equally significant a number of key committee members had announced their intentions of standing down. And indeed I had myself announced that I wished to become a less “hands on” President. The 2010 event again went to the Loire valley. 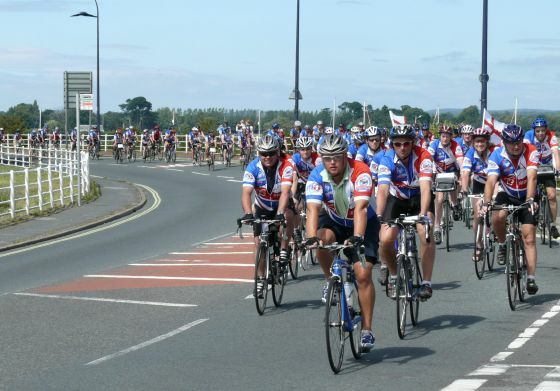 For the first time in many years we had only one ride with everyone cycling all the way from Hayling to Tours and back. As a compromise between the 6 and 4 days rides of recent years we settled on a 5 day itinerary. This meant that we had two 90 miles days but while this and some strong wind made it on some respects a tough ride it was again a success. The generally good weather no doubt helped as of course did the magnificence of the Loire Valley. The traditional fancy dress on the last day was particularly noteworthy with more than half the riders dressing up. We had two Robin Hood teams, a Peter Pan group, Andy Pandy, Looby Loo and many others. Paul Fisher and I joined in as team 118 118 though sadly my moustache kept on falling off! In Caen we again had another great party in the castle. We had an early Ferry at 8:30 which meant that we needed to get up at 6:00 which in turn meant it was hardly worthy going to bed which in turn meant a number didn’t! At Pegasus Bridge café, where we stopped for a quick coffee before going on board the ferry we witnessed what was undoubtedly one of the most spectacular falls in the 25 years of the ride. Paul Fisher had decided for some reason to cycle down the steps that led to the famous café and duly crashed and demolished a post card stand. So 25 years of cycling! 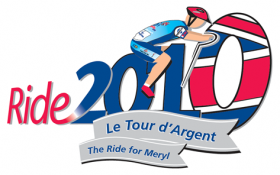 You spend a few days in France, see some great country side, eat and drink what you want under the pretext that its fuel for the cycling, and then return having raised money for charity. What a great formula!